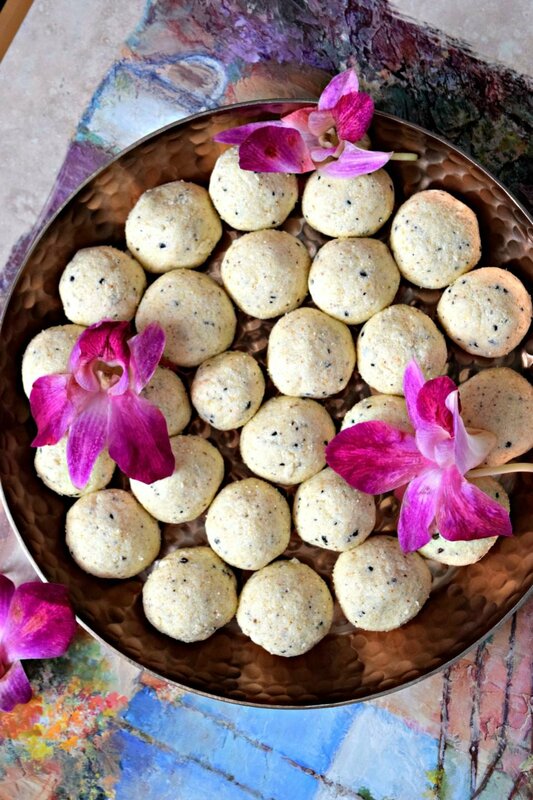 Chocolate Rava Laddu is a no cook dessert made specially during Diwali (Indian festival). It’s made using semolina flour, sugar and a hint of white chocolate. Diwali is here! It’s a joyous occasion for people all over India. Diwali is also known as festival of lights and is celebrated with lots of pompous and galore. There are many rituals we follow during this festival. Days before we do a deep clean around the house, buy new clothes and jewelry to wear on the festive day, prepare a variety of sweets and savouries to distribute among family and friends. On Diwali day, we take a hot oil shower before sunrise, wear new clothes, light oil lamps all around the house and greet one another – Happy Diwali! As kids, Diwali was a treat time for us, we would get new clothes and lots of variety of foods to eat. Few days before Diwali, there would be lots of hustle bustle in the house. Lots of prep work and cleaning would be happening. My mom would involve us in certain easy tasks which I and my brother would perform religiously. One such task was making this laddu. Since it is a no cook and super easy-to-make recipe, my mom would assign us the task of shaping them. I would enjoy this part the most. She would mix it all together and we both would give it the shape of a laddu. Since we were kids, none of the laddus we made were of the same size, however my mom would never fret over it. That is such an amazing quality, now that I think of it. She helped us form our happy memories with no negative thoughts attached to it. 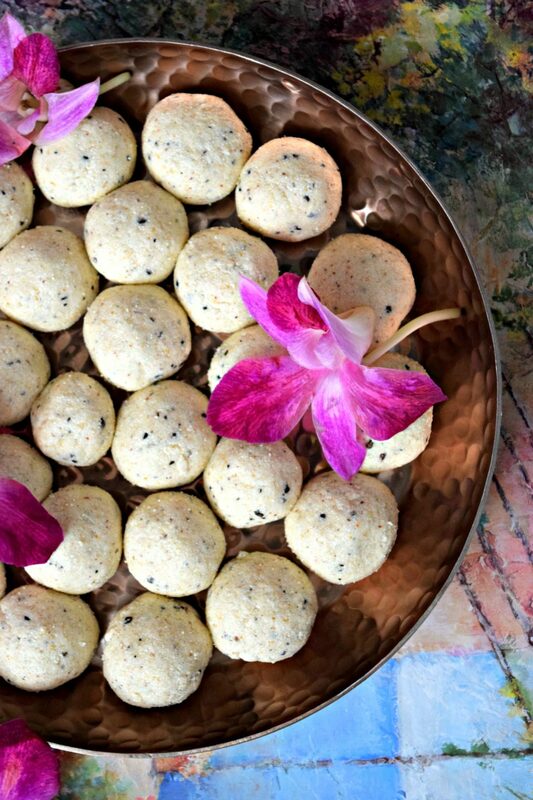 Sharing with you her rava laddu recipe with my very own twist. Since I wanted to give it my own flavor, I added white chocolate powder to the recipe and it turned out just great. Do try this innovative fusion dessert this Diwali and create some wonderful memories for yourself. to it and shape them into medium size balls. The laddu needs to be firm and not break very easily. Adjust ghee/semolina as required. Store the laddu in an airtight container and it stays good for more than a week. 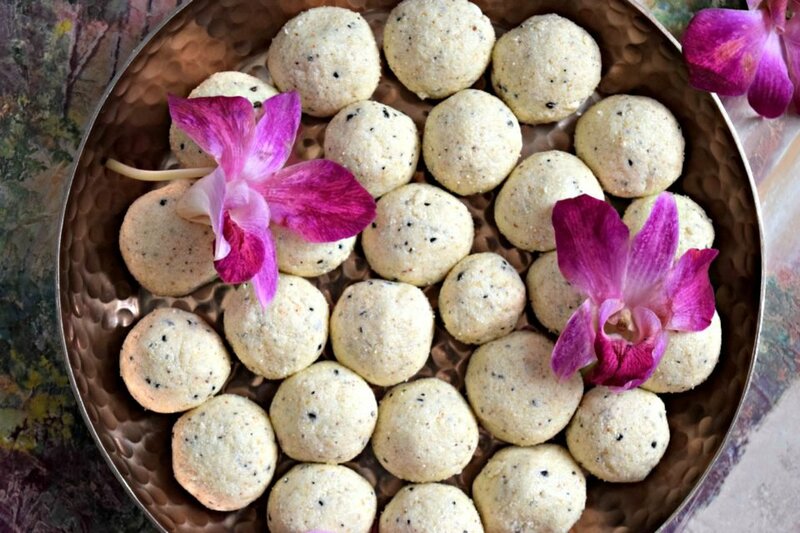 Chocolate Rava Laddu can also be served during other festivals like Raksha Bandhan, Holi, Navratri and any other puja/festival besides Diwali. The addition of chocolate takes this dish to another level. They literally melt in your mouth! I dedicate this recipe to my mom who taught me not just this recipe but also the basics of cooking. Rightfully said, we all may be world renowned chefs, but our journey always begins at home watching our moms cook. 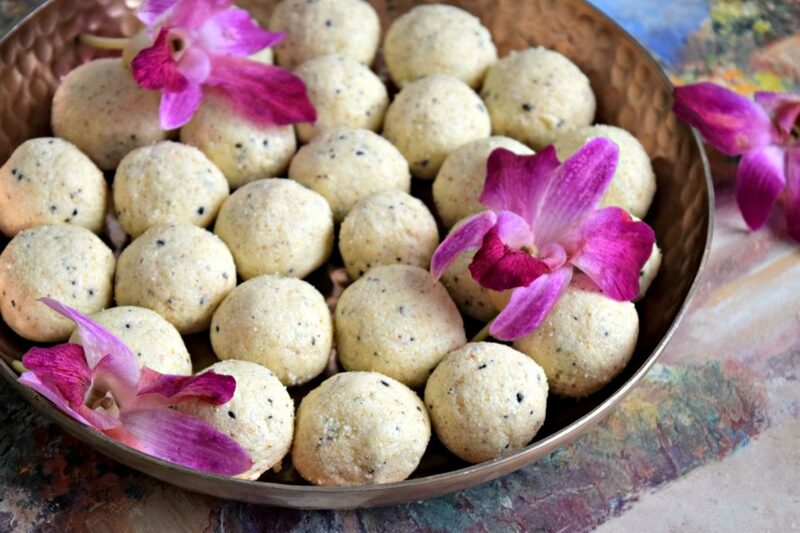 Chocolate Rava Laddu is a no cook dessert made specially during Diwali (Indian festival). It's made using semolina flour, sugar and a hint of white chocolate. In a mixing bowl, add powdered sugar, white chocolate powder and cardamom powder. Then add roasted semolina and mix it all together. 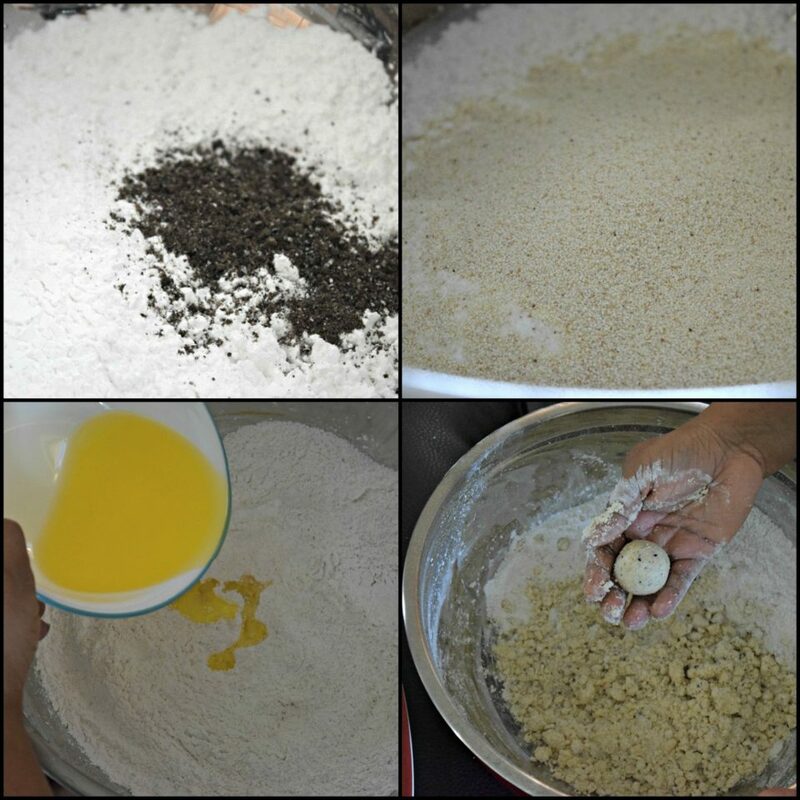 Then gradually add warm ghee to it and shape them into medium size balls. The laddu needs to be firm and not break very easily. Adjust ghee/semolina as required. Store the laddu in an airtight container and it stays good for more than a week. You can also add roasted cashews in the mix. Sounds like a very interesting recipe, and I may need to try it with the cashews too. Thank you for sharing at The Really Crafty Link Party. Pinned!